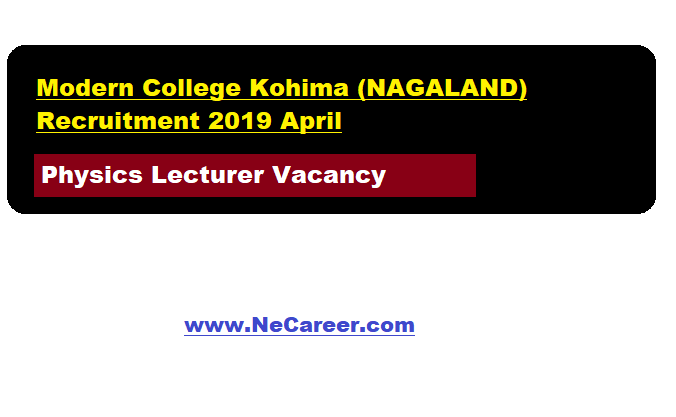 Modern College Kohima (Nagaland) Recruitment 2019 April - Physics Lecturer Post:- Welcome to North East India's No. 1 Job Portal NeCareer.com . Modern College, Kohima , a college that continues to grow and strives to be one of the best institutes of Higher Education in the state. According to a latest recruitment, applications are invited from eligible candidates for Lecturer post in Physics. Find more details in below section. Educational Qualification: Candidates must pass M.Sc. in Physics with at least 55% Marks. 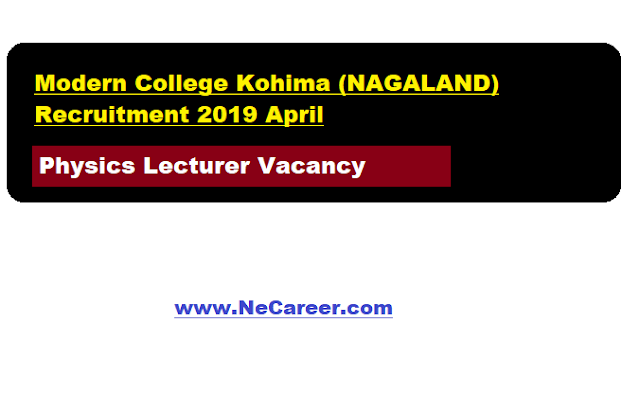 Eligible and Interested candidate may apply online at official college website on or before 16th April 2019.